I love all the weddings we do...from the big to the small, the elaborate to simple. I think my brides all do an amazing job at making their weddings just the way they want and I love capturing it all. 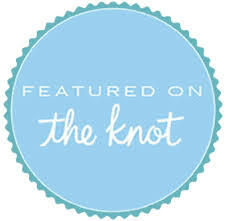 So when I get to tell my bride that their amazing wedding is being featured at theknot.com, that is even more amazing for the both of us!